The Perdomo 20th Anniversary Churchill Sun-Grown cigar is a hefty Nicaraguan churchill packaged in an attractive Spanish cedar box. This is a slightly box pressed premium cigar that is at the top of the Perdomo range. The Perdomo 20th Anniversary Churchill Sun-Grown cigar is a hefty Nicaraguan churchill packaged in an attractive Spanish cedar box. This is a slightly box pressed premium cigar that is at the top of the Perdomo range. Hand-crafted by the very best rollers at the Perdomo Cigar Factory in Esteli, Nicaragua, this bulky churchill has a clean, oily wrapper covering a terrific flavor profile with leather notes alongside sweet cedar and nut flavors. This builds with spices and is finished with brown sugar notes. The blend comprises all Cuban-seed Nicaraguan wrappers, both binder and fillers that are painstakingly chosen as being the very best-of-the-best from each of the Perdomos farms in Nicaragua. The Nicaraguan Sun Grown wrappers have been aged for a minimum of six years, plus further aging is done in bourbon oak barels for an additional 14 months. 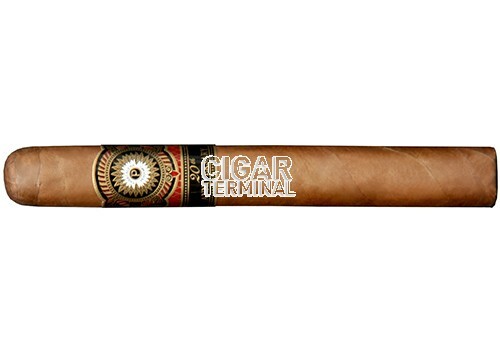 The end result is a cigar with a level of deep complexity that is considered by many to be Perdomo's tiop accomplishment.